Hello Friend! Thanks for joining me for the October New Release Blog Hop for Joy Clair Stamps! For this Bible Journaling page I am using the Pearl of a Great Price and New Year New Me stamp sets. I love the creativity of these designs and the quality is as great as always! I used the Scripture Matthew 13:45 that is quoted in the stamp set. I started by stamping the shell on a piece of white cardstock to use it as a tab on the top of the page. I also used the pearl shell stamp and the seaweed stamp on the bottom of the Bible page. I used my favorite Neocolor II Watercolor Crayons to fill in the stamps and also the page. I added pearls to the top of the page for a border. In the pearls I used a Wink of Stella brush pen to fill them with clear glitter. It is hard to see in the photos – but so pretty in person! I watercolored around the scripture in order to highlight the passage. I also glued some random matching sequin on the page. At the bottom of the page I added a sticker and also a stamp from the New Year New Me set “The best is yet to come”. I used the stamp “happy” from the New Year New Me set and then used alpha stickers to spell out the word heart. And that is how this page left me! With a happy heart! In God’s eyes we are prized treasure that He Himself uniquely created! I also underlined the whole scripture passage in black pen. I finished off the page by adding the Scripture stamp to the middle of the page with a stamp from a previous new release – Doodle Lines. I truly hope you enjoyed this page and that you will continue on the Blog Hop to see all of Joy Clair’s New Releases! To celebrate this release, Joy Clair is giving away a $25 gift certificate to ONE lucky winner! Please leave a comment on the Joy Clair Blog and ALL Designers Blog by Sunday, October 7th, for a chance to win. The winner will be announced on the Joy Clair Blog on 10/31/2018. Andrea Bjork – You are here! This is one of the sets I want to get~love it!! Thanks so much – it really is such a beautiful stamp set! Love love your Bible Journal page – what awesome work here! I really need to get back to Bible Journaling – you have inspired me to get busy – Thanks for the hop and showing us how to use these fabulous stamps! Thank you Gail!! What sweet comments! And definitely get back to journaling! Blessings! Your Bible journaling page is astoundingly done. Only a woman after God’s heart could have pulled this off. Gorgeous Bible journalling, and just really fabulous use of this new stamp set. Thanks so much for sharing your creativity and talents. Love how you created this pretty bible page! Andie, I love what you’re doing to highlight scripture in your Bible. The watercolors are beautiful and the Wink of Stella accents so well!! Joy Clair’s stamps are perfect for adding to your Bible journaling! This is such a wonderful stamp set and you used it so beautifully. A fantastic stamp for my bible journaling. The shell with the pearl is beautiful. Gorgeous and wonderfully creative bible page! Andrea Bjork partners with affiliate advertising to provide a means for bloggers to advertise and receive commission by linking to products and services we support, at no extra cost to the user. Affiliate links are for the websites Dayspring.com, Joyclair.com, and Alliescraps.com. 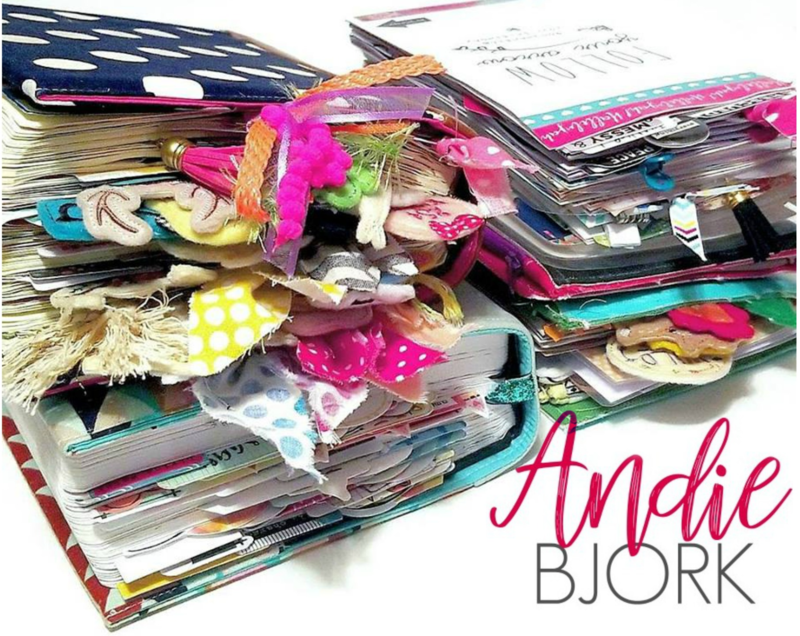 Any purchases made using affiliate links on this site or any related social media platforms (including Facebook or Instagram), may generate a commission for Andrea Bjork. I receive Illustrated Faith, Allie Scraps, and Joy Clair products as part of being a member of a design team or an affiliate program, but all opinions for the products are my own.